Actor Jason Douglas talks with Jesus, @Thisfunktional of Thisfunktional.com, about "Jack Reacher: Never Go Back." Douglas plays Sheriff. 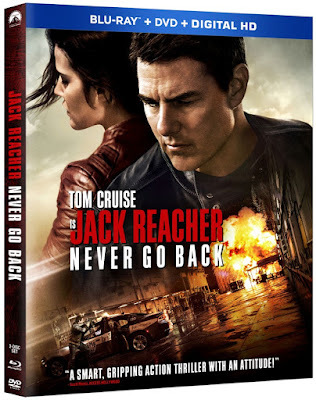 He talked about the direction this movie took the story of Jack Reacher. Along with talking about the movie Douglas talked about the Jack Reacher Escape Room at Escape Hotel in Hollywood. "Jack Reacher: Never Go Back" is available on 4K Ultra HD, Blu-ray, DVD and Digital HD now. Find out more about Escape Hotel at escapehotelhollywood.com.